You're about to dive into one of the biggest decisions in your life....building your own custom home. We know you have a hefty list of questions, and we're happy to tell you we have an incredible team of industry experts and partners to make sure you have every question answered - from the early days of planning to moving in. However, you may be at the point where you are still in your initial search, and have a few general, broad questions you may want answered before you reach out to one of our team members, or visit us in person. 5. Can I change my floor plan? Yes. 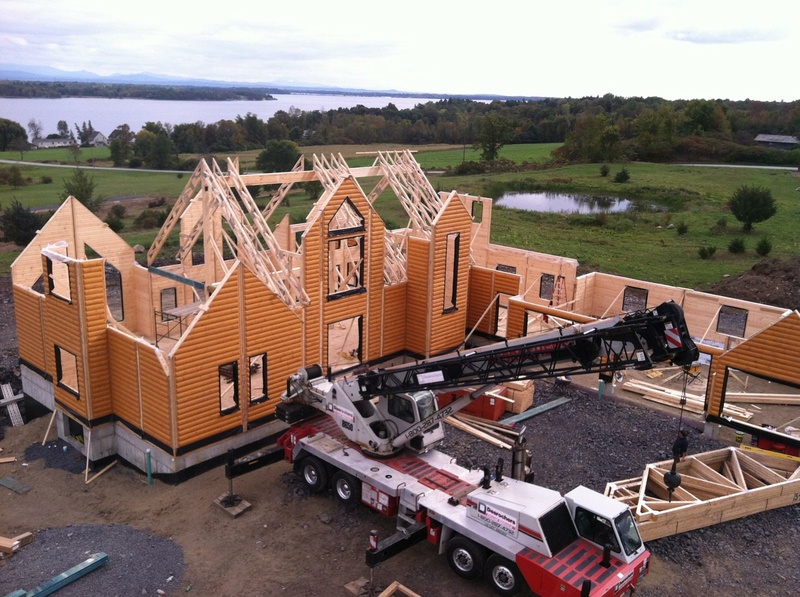 We can build from our stock plans, customize from any plan, or build a full custom home. 4. Can I build the home myself? It depends on how handy you are! Part of Timber Block's Construction Concierge Service includes a technician to help you during your planning process, and of course your wall raising. 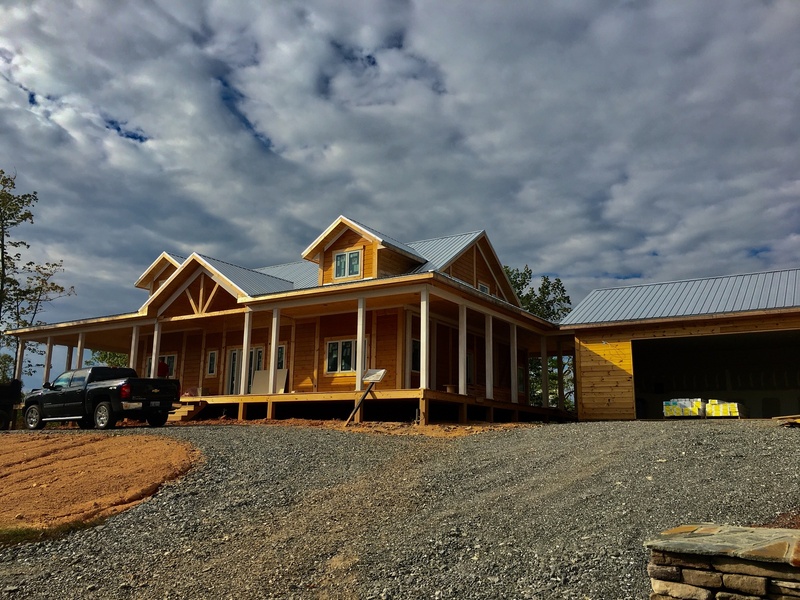 You will have a designated Timber Block Project Manager to help advise you along the way, and if you have building experience, it's possible you can build your Timber Block yourself. Typically, however, we recommend a certified builder or General Contractor. If you need help in finding a builder, we have a lengthy list of Partner Builders in several locations across the country. No. 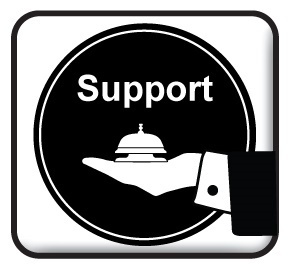 However, we have partnerships with several financial agencies that we can recommend, and again, we can help advise. The complete wall, roof and floor system, doors and windows, structural beams and columns, trim for the interior and exterior doors and windows, facia and soffit, and our Construction Concierge Service. 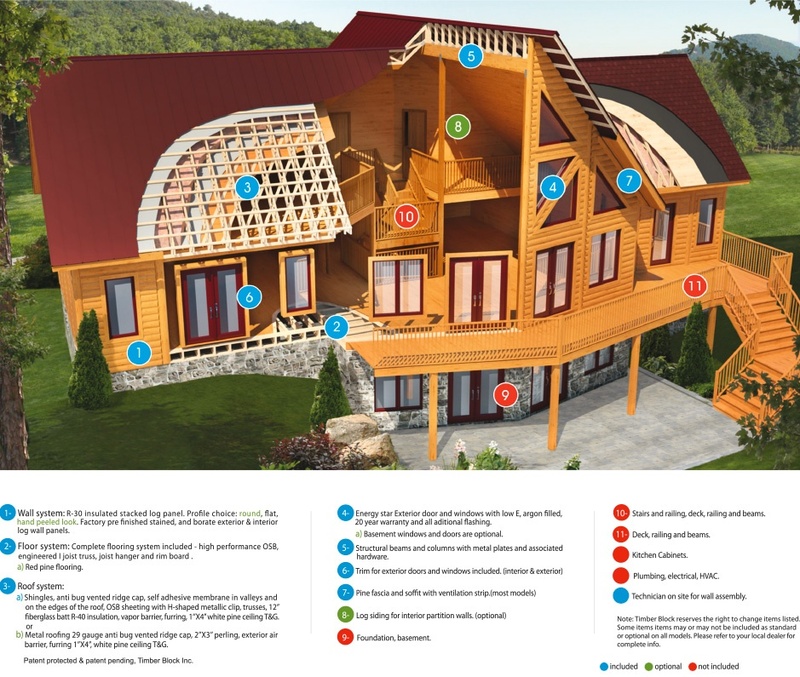 The image down below gives you a good idea of what's included when you purchase a Timber Block home. For further details, contact us to speak to a Timber Block Expert. 1. 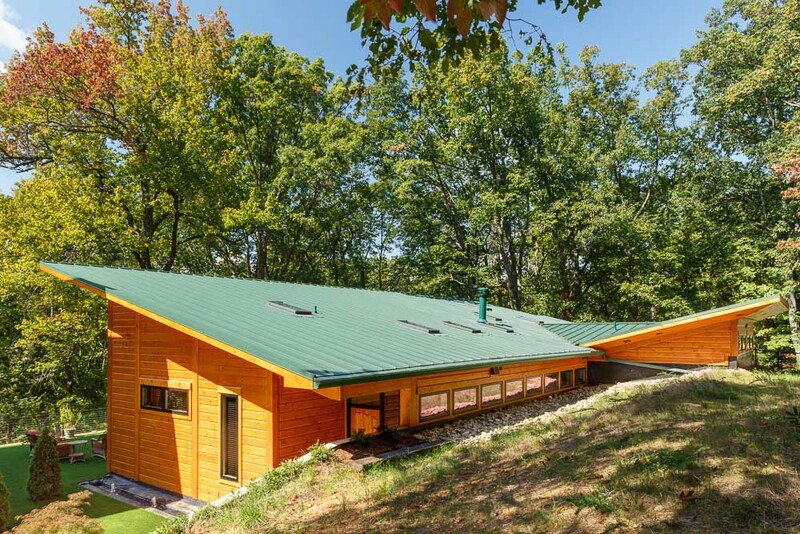 What is the cost of a Timber Block Home? This is a question that can't be answered without knowing a little bit more. For example, where are you building? What are the building costs in your area? Are there any add-ons? What is the square footage? That being said, a quick phone call to one of our Timber Block pros will ensure you get a good idea of how much your Timber Block home will cost. Contact us by email, or call or visit a location near you.